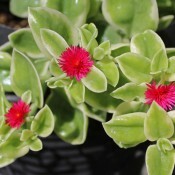 Aptenia is South African native succulent that is part of the ice plant family. 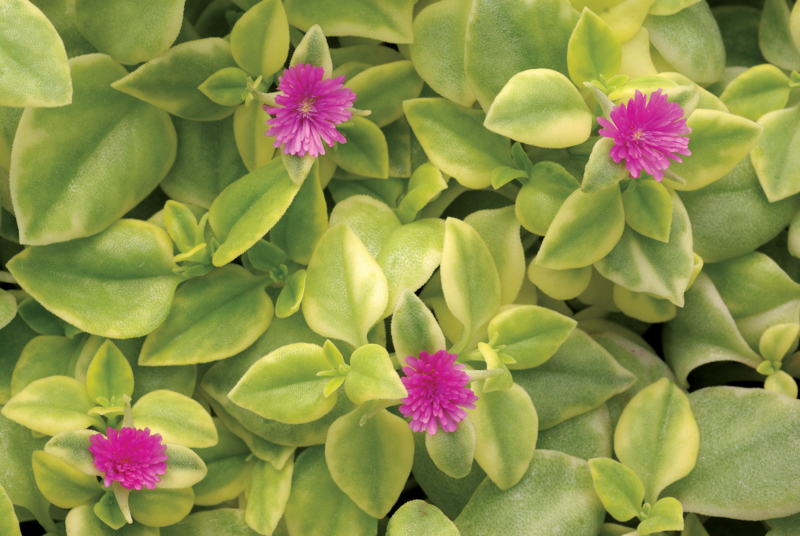 The heart-shaped, textured leaves are topped with magenta flowers. This is a compact, mat forming perennial that provides outstanding groundcover in rock gardens and landscapes.